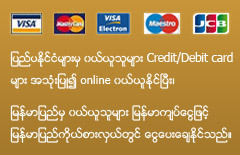 Get your own Domain name here in Myanmar and save up to 10% Discount today. Our hosting packages are designed for Myanmar web developers/masters. Get eye-catching and fully functional websites for your business at low cost. Shwe Hosting is the United Kingdom and Myanmar based web hosting provider for Myanmar people around the world. We are providing reliable Web Hosting services, Domain name registration, Reseller Hosting package, Virtual Private Server (VPS) and Dedicated sever at a reasonable price. We provide Myanmar (Burmese) / English speaking technical support to all of our existing customers as well as new customers for free, plus 24x7 server monitoring, daily/weekly backup and reliable services.